Nearly 150 world leaders are gathered near Paris for what is being billed as a last-chance summit to avoid catastrophic climate change. "French foreign minister Laurent Fabius welcomed the 147 world leaders and more than 45,000 participants as he opened the UN climate conference. "It is the first time developing nations will also commit to reducing emissions. But they will rely on funding from richer countries. "2015 is so far the hottest year on record. Scientists warn if nothing is done, the planet will suffer rising sea levels more floods, worsening drought, water shortages, storms and other catastrophic events." During his opening speech, President Obama said that "no nation — large or small, wealthy or poor — is immune" to the ills of climate change. 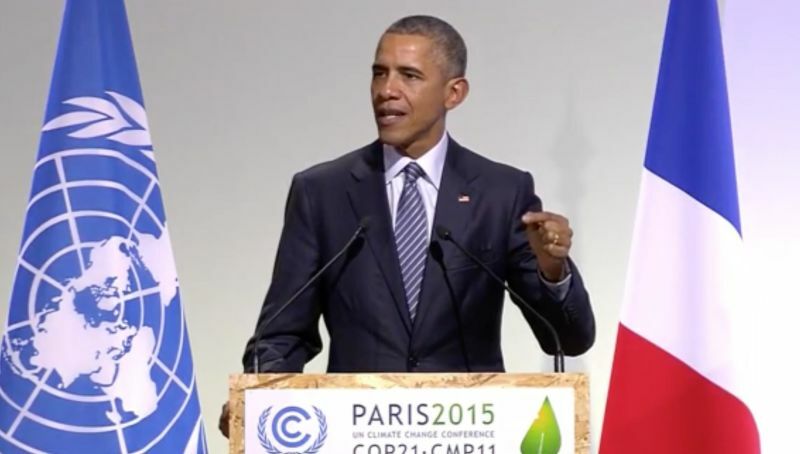 Obama nodded to the fact that the climate talks are being held with the backdrop of the Paris attacks. He said continuing with the talks was an "act of defiance" that "proves nothing will deter us" from "building a better future for our children." Quoting an American governor, Obama said this is the first generation to see the effects of climate change and the last generation who can do something about it. He said the goal of this conference is not to find a "stop-gap solution" but "a long-term strategy that gives the world confidence in a low-carbon future." We'll update this post with the latest, as news emerges from the summit.